Exclusive to Euronics and Agent stores, the Bosch WAN28001GB is packed with features to help you tackle your laundry. It also comes with a classic white finish to fit into any home beautifully. 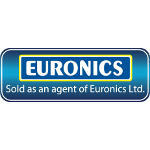 Plus, select your preferred programme with user-friendly LCD and push button controls – on a seven-segment display. ActiveWater Technology: Your washing machine will automatically use the correct amount of water and electricity, depending on your load. 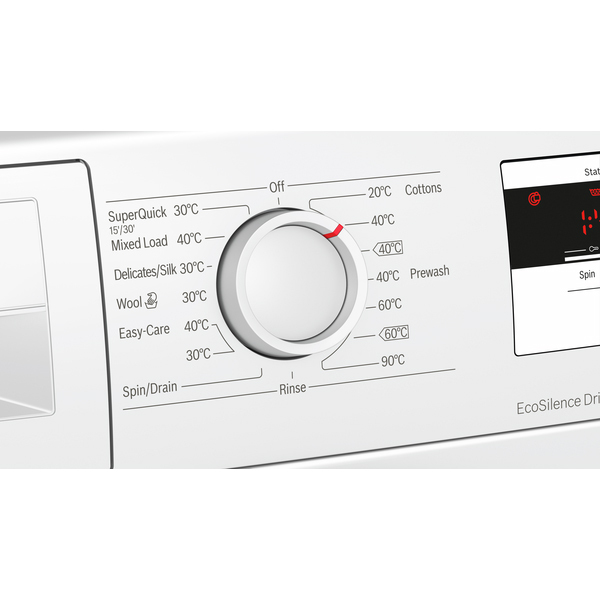 VarioPerfect Functions: Have more control over your appliance and get the best results from every wash. Use SpeedPerfect to reduce washing time by up to 65%, or EcoPerfect to reduce energy usage by up to 50%. 12/24 hour Start Delay: Pre-set the time you’d like the WAN28001GB to start, and have your laundry ready for exactly when you need it. AntiVibration Sidewalls: To reduce vibration, Bosch has increased the stability of this washing machine’s walls. This new design is not only eye-catching, but the added insulation will also help to lower the machine’s noise levels – even during the spin cycle. 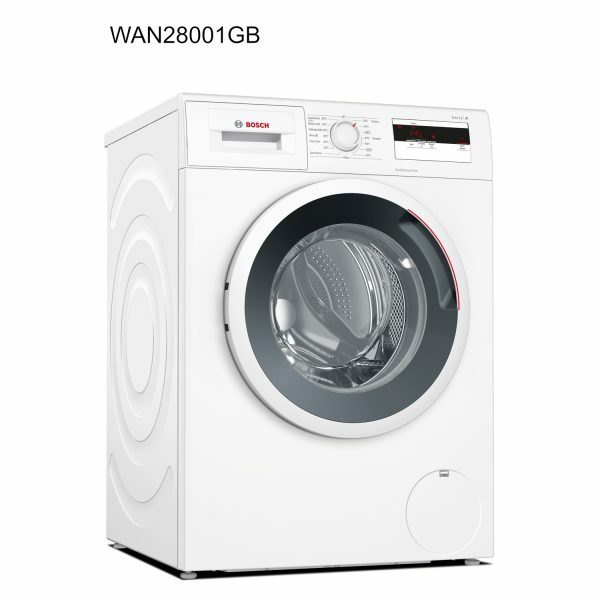 This Bosch washing machine has an A+++ energy rating, and uses just 50 litres of water per wash. Look after the environment and your wallet with the Bosch WAN28001GB. Designed with you and your family in mind, this Bosch washing machine offers a wide range of programmes and features. Make washing a breeze and add one to your basket now.